Blood variables and gut bacteria provide a telltale signature of obesity in horses, according to researchers. University of Delaware scientists set out to investigate differences in metabolic factors in the blood of obese, normal and lean horses, and how they correlate with differences in the composition of the gut microbiome. Their work raised the possibility of using targeted gut microbes to combat obesity in horses. The study used horses aged 2 to 20 from three university herds and from five private farms. Obese horses had higher levels of leptin, triglycerides, glucose, and cortisol in their blood, and more diverse gut microbiome communities, with a higher relative abundance of Firmicutes, and lower numbers of Bacteroidetes and Actinobacteria. Amy Biddle, Jean-Francois Tomb and Zirui Fan, writing in the journal Frontiers of Veterinary Science, said further work, which examined correlations between body condition scores, blood work, and microbial composition at genus level revealed a more nuanced picture of microbe-host interactions. This, they said, pointed to specific bacterial species and groupings that may be signatures of obesity and leanness in the horse gut. “These results are an important first step in unraveling the metabolic differences between obese and lean horse gut communities, and designing targeted strategies for microbial intervention,” they said. Horses, as hindgut fermenters, rely on the gut microbiome to access nutrients and energy from dietary complex carbohydrates. Short-chain fatty acids produced by microbial metabolism have been estimated to provide as much as 42% of equine energy needs. Surveys of the equine gut microbiome have revealed communities dominated by Firmicutes, and Bacteroidetes (comprising 75% or greater relative abundance), with less abundant Proteobacteria, Verrucomicrobia, Spirochaetes, Actinobacteria, and Fibrobacteres. The authors noted that, paralleling human health trends, equine obesity was a growing problem for horse owners. Discussing their findings, the study team said the blood marker results (higher leptin, triglycerides, glucose, and cortisol levels, and trends toward higher insulin in obese horses) mirrored what had been shown in other studies. However, their research was the first to report correlations between body condition scores, blood analytes, and microbial community composition in horses. While obesity in horses was positively correlated with glucose, cortisol, triglycerides, and leptin, lean body condition scores were negatively correlated to glucose, tryglycerides, and leptin. The identification of distinguishing community differences in horses’ gut bacteria based on their body condition score pointed to similarities in host-microbial dynamics underlying metabolic disease between horses and humans. While gut microbiome differences were seen in horses based on diet, it was not possible to associate feed with body condition score, they said. The obese horses were largely being fed hay or pasture only, they noted. “Significant correlations were also noted based on age, but were inconclusive since the categories were broadly divided and included no horse above 20 years. In conclusion, they said their work pointed to differences in the gut microbiomes of lean, normal, and obese horses that were significantly correlated to key blood analytes associated with body condition scores. 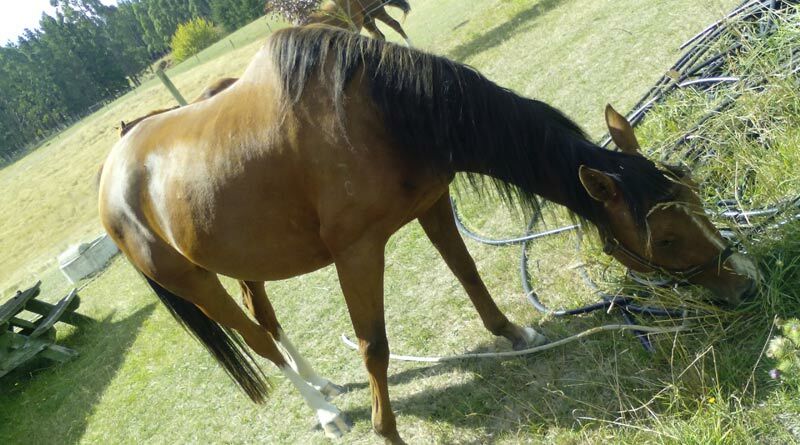 Analysis pointed to signature species for each body condition category, laying the foundation for experiments leading to a greater understanding of the process involved, and more targeted microbial solutions for obesity and metabolic syndrome in horses.